OPENING CEREMONIES ARE SAT. NOV. 10TH AT 3:15 PM. A Military Service Tribute Tag will be attached to each sponsored flag. 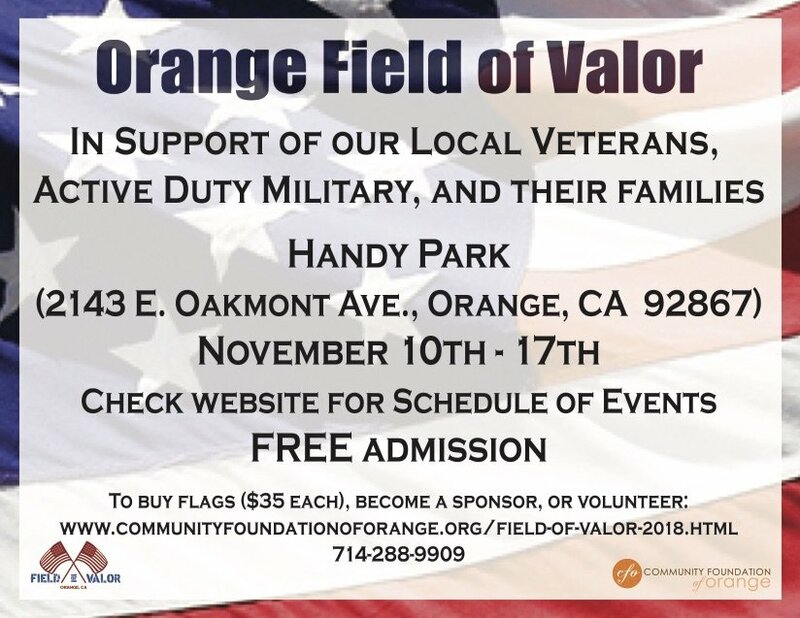 The week after the event, tags and flags, (not flagpole) may be picked up, or donated back to the CFO for the next Field of Valor. Please mark your selection on the Flag Tribute Form. Each full sized flag is made in America and will be attached to an 8′ flagpole. 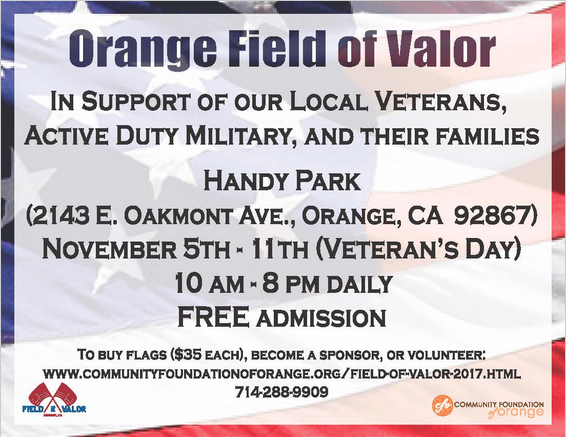 All proceeds from the Field of Valor are distributed in the form of Grants to local non-profits serving our veterans/military. More information on grant recipients is on our website. To become a sponsor of this event, please click on the “Become an Event Sponsor” button. If you are at least 15 years old and are ready, willing and able, we could use your help! 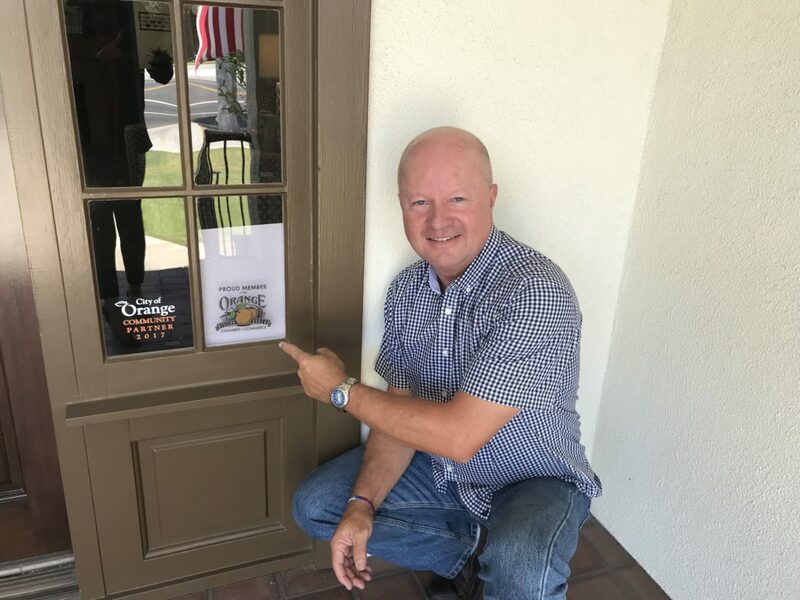 Please click the Volunteer Here” button below to access our online form and feel free to pass on the information to your friends, family and co-workers — the more the merrier!